Rabbi Lifshitz founded Sadnat Enosh (The Human Workshop) a unique counseling center that employs a unique methodology. Born in Israel and trained in the great analytical traditions of the Lithuanian Yeshivas, Rabbi Lifshitz was a scion of the scholarly dynasties of the Lithuanian Torah world. Rabbi Lifshitz represented Torah Judaism – the authentic spirit of Torah as taught by the great sages of the Lithuanian and Chassidic schools. He learned his first Torah from his gifted father, a close student of the Hafetz Haim and one of the great scholars of the Lomzhe and Hebron yeshivas. As a growing child, he "sheltered in the shade" of the Hazon Ish and drank of his wisdom. He served as “right hand” to Rabbi Yechiel Yaakov Weinberg, of blessed memory, author of the responsa series, Sridei Eish, participating closely in the writing and editing of these responsa. Rabbi Lifshitz studied closely under Rabbi Shlomo Zalman Auerbach, of blessed memory, for many years, and for decades maintained close personal contact with his illustrious cousins, Rabbi Moshe Feinstein, of blessed memory, and Rabbi Josef Dov Soloveitchik, of blesed memory. Sadnat Enosh is an independent institution, unaffiliated with any organizational frameworks or educational institutions. Th principle of Structuralism is dominant in Judaism, and reflects the Jewish view of man and universe. There is one significant difference, however, between the Piagetian view and the Jewish view: While Piaget follows Western perception, and seeks the balance somewhere between the two sides, Judaism proposes a three-dimensional structure. Height -- that is to say, spirituality -- is the third dimension and the dominant factor. The spiritual dimension of height determines the direction, organizational pattern and goals for all the other factors. Organization -- in the sense of prioritization -- is considered to be more important than balance in the Jewish perception. Organization is one of the guidelines of Jewish psychology as formulated by Rabbi Lifshitz. However, The Human Workshop does not suffice with theoretical formulations. 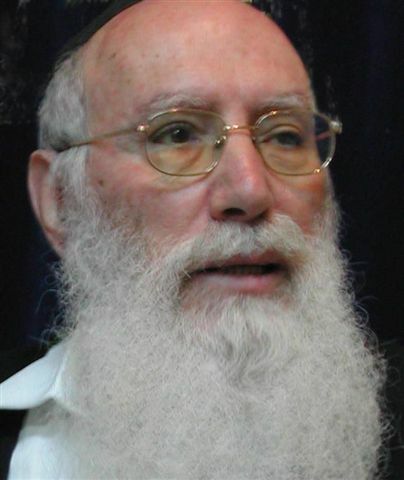 Rabbi Lifshitz developed a comprehensive methodology out of these theories, which has generated a unique system of diagnostic and counseling techniques.